Caption - South African Railways (SAR) Class 26 4-8-4 3450 "L D Porta" stands beside a standard class 25NC at Beaconsfield loco depot in August 1982. 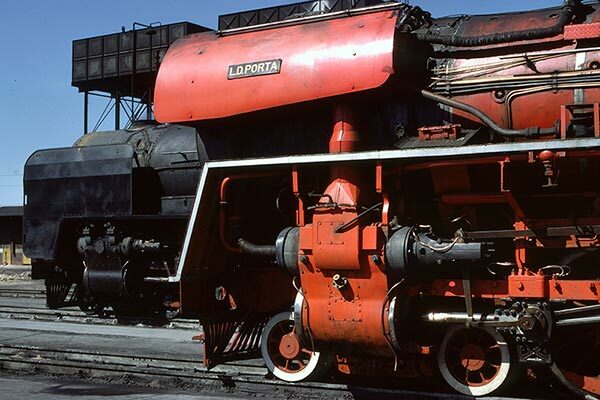 The "Red Devil" was the last major development in steam power and although there were substantial economies, the experiment was not put into widespread use. What a superb looking loco.